Adobe's PDF format has become the standard format for business documents and communication. Fortunately, you can manipulate PDF files without spending a bundle to get Adobe’s Acrobat software. For example, let’s say you have two or more PDF documents that you want to merge into a single file. 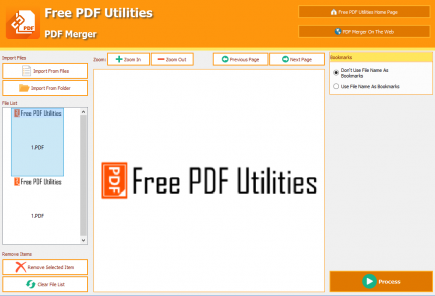 There’s a Windows program called PDF Merger that will do the job for free. The program is available from Free PDF Utilities, which also had software to split, resize or add watermarks to PDF documents. PDF Merger requires a Windows PC running Vista or Windows 7, 8 or 10 with 50MB or free drive space. You can download PDF Merger or the other programs at the Free PDF Utilities website.